A while back, I wrote about missing posts — notably, missing posts by others — as one of the 5 Things I Hate About Facebook Timeline For Pages. I had assumed that this was a bug. After closer examination, I’ve come to the realization that this is instead by design. That doesn’t make this better. In fact, it just makes it a bigger design problem that Facebook needs to address. I noticed this when a reader had pointed out that none of the posts by others were appearing in her page’s Timeline. When I took a look at my own, I noticed that some — but not all — posts by others were appearing. So it wasn’t a matter of Timeline displaying only my posts. Instead, I had to go back an entire month or so until I saw a post written by someone other than me. It was pretty easy to assume this was a bug. By going to Admin Panel > Manage > Use Activity Log and filtering Posts by Others, I see all of the posts made by people other than me. And in each case, there is an open circle icon next to those posts, indicating that the piece of content is “Allowed” on the Timeline. Now things get confusing. When I speak of Highlights, I’m not referring to the star icon on a post that allows you to stretch a post across two columns. No, I’m referring to either of the two Highlights filter drop-downs at the top. You have four options: View posts by the page, posts by others, posts by friends or Highlights. There is no in between. 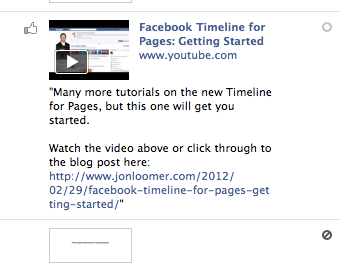 Highlights in this context are the most important posts by both the page and others, as determined by Facebook. 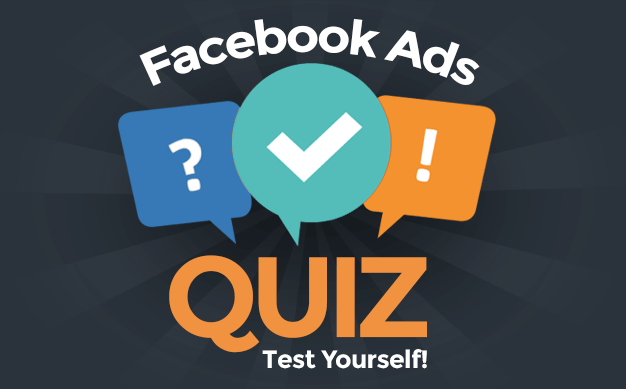 I’m okay with Facebook using their algorithm to determine that. The problem is, though, that Facebook doesn’t allow you to override their decision that something isn’t important. Sure, you can hide an item from the Timeline that is already there. 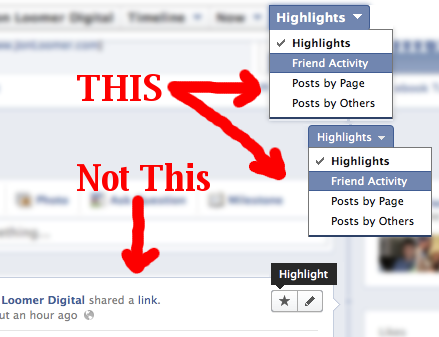 But if Facebook determines that a post isn’t important — and not a Highlight — you can’t change that. Alright, Facebook, listen up. Here’s how you fix this bad design flaw. On the Activity Log, you can currently determine whether a post is allowed or not allowed on the Timeline. That’s great. But it doesn’t impact Highlights. So, let’s add another icon. Allowed and not allowed can apply to the four filters other than Highlight. Then add another icon next to it that will either be filled or empty indicating whether it is Highlighted (or change the name so we aren’t so easily confused). Easy? Easy. Now fix it!